Creating efficiencies and saving you money, since 1991! Bins, Dividers, Plastic Pallets & more! Purchasing, Processing & Recycling of Industrial and Post-Industrial High-Density Plastics, Resins, Foams & more! Sales, Leasing & Refurbishing of Industrial Containers, Totes, Bins, Dividers, Plastic Pallets & more! Whether you want to buy new, buy used, refurbish what you have or lease products, Resource has you covered with the most cost-effective, high-quality options available. We procure, buy and sell industrial bulk containers and products to customers typically within a 500-mile radius of our two main facilities in Statesville, North Carolina and Cleveland, Ohio. We can pick up the products or you can have them delivered to us. Most industrial bulk containers require some refurbishing or cleaning, and then can be used again good as new for a variety of material handling purposes. Bulk containers and products that cannot be salvaged or repurposed are sent to our Recycling operations for recycling/regrinding, ensuring our customers a one-stop-shop Environmentally & Customer Friendly business partner. We work together to reduce any negative impact on the environment and comply with your corporate sustainability efforts. 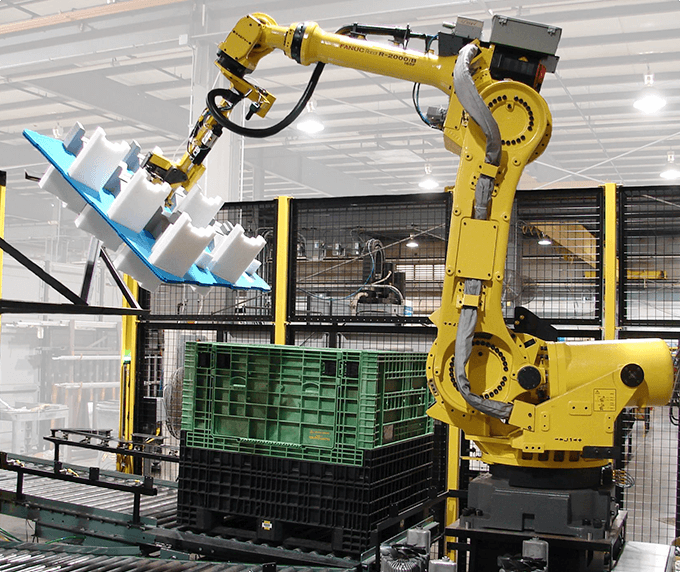 Industrial Material Handling products include Industrial Bulk Containers, Totes, Bins, Dividers, Plastic Pallets & more. Contact Us today for the most efficient and cost-effective material handling solutions for your business. Let’s Create a Win-Win for the Environment & your Business! We procure, buy and sell plastic materials from all over the world, partnering with companies that need plastic processing and recycling services to make a positive impact on the environment and maximize their cost savings and efficiencies. We partner with direct companies in many industries and also other plastic recyclers within an expansive radius of our two state-of-the art recycling facilities. We load and haul away plastics, purge, scrap and other materials and products daily, ensuring maximum efficiency for our customers operations. Our toll grinding services provide industrial manufacturing and injection molding companies convenience and competitive rates that add value and enhance bottom lines. HDPE Structural Foam (High Density Polyethylene), HMW (High Molecular Weight), NYLON, NYLON GF, PP (Polypropylene), PP TF, PP GF, TPO, ABS, PC/ABS. PP, PPTF (talc filled), PPMF (mineral filled), PPGF (glass filled), Painted TPO, Unpainted TPO, TEO, TPE, HDPE, HDPE S/F (structural foam), HDPE-HMW, ABS, PC/ABS, PC, PC/PBT, ASA, PBT, Acrylic, POM, Nylon 6, Nylon 66, Nylon 6 GF (glass filled), Nylon 66 GF (glass filled), Nylon 6 GF+MF (glass and mineral filled), Nylon 66 GF+MF (glass and mineral filled). 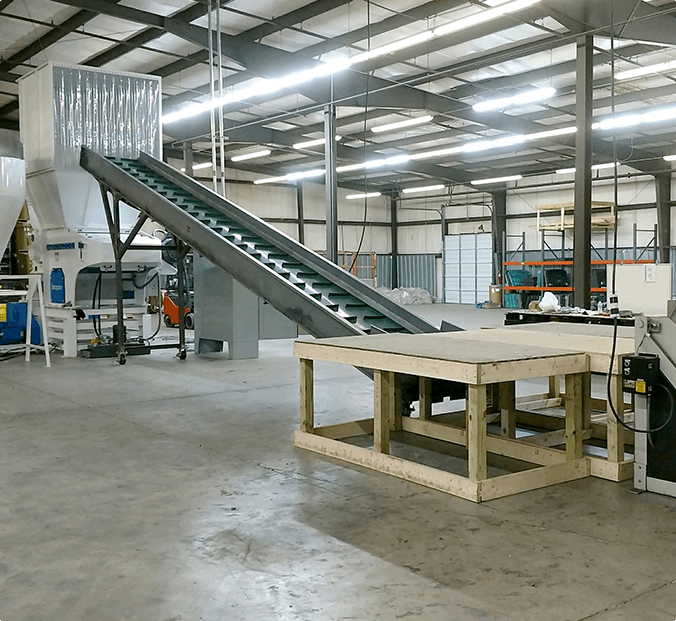 Our two plastics recycling facilities in Statesville, North Carolina and Cleveland, Ohio are equipped with state-of-the-art shredding, grinding and toll grinding equipment to handle all size plastic parts, materials and purge/lumps making Resource Material Handling and Recycling your one-stop-shop for all your recycling needs. Contact Us today for our plastics recycling and toll grinding services! Resource Material Handling and Recycling works with a variety of commercial and industrial companies in the industries and sectors that we focus on, and where our expertise provides an unmatched value proposition for our customers and partners. We also work closely with other complementary companies in the Recycling Industry to offer our services in the recycling, reprocessing and repurposing of the industrial and post-industrial plastics that we focus on, creating a win-win for everyone in the value-chain and a long-term positive impact on the environment. Since 1991, Resource Material Handling and Recycling, Inc. is your one-stop-shop for all your industrial containers/products, used bulk containers, plastics recycling & toll grinding needs. 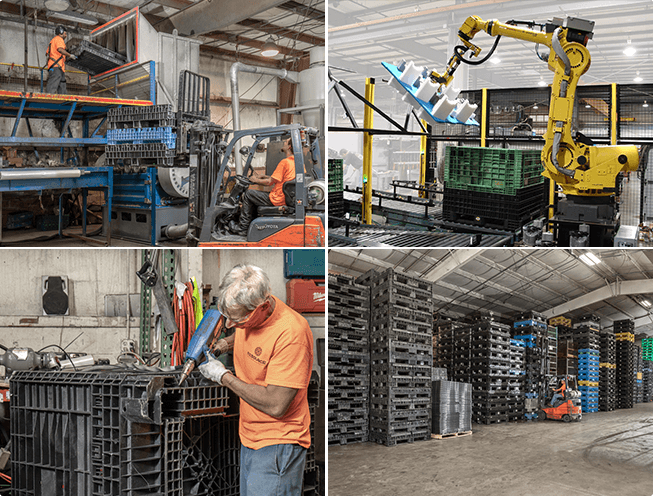 The Company was founded to provide an innovative and premier industrial bulk container and plastic pallet sales and leasing service throughout the United States. Over the past 30 years, Resource has evolved, expanded and grown to provide plastics recycling and toll grinding with state-of-the-art shredding and grinding equipment to ensure that only the highest quality post-industrial plastics are returned to industry to become new products. Additionally, our expertise in the industrial bulk container and products business led us to the realization that there were a growing number of businesses requiring more cost-effective reusable bulk containers and other products. We responded to this demand to provide our customers with the opportunity to purchase used and refurbished industrial containers and other industrial products at affordable prices. As a family business in its second generation, we continue to differentiate our business on our founding principles of innovation, offering quality products at affordable prices, trustworthy fair dealing, flexibility and industry leading customer service. Our partners rely on our customer service and sales teams to help boost productivity, cut costs, and strengthen the “green” mentality that more companies are adopting today; as the re-purposing, reusing and recycling of high-density plastics and industrial containers has a proven and lasting positive impact on the environment and your bottom line! Sales, Leasing & Refurbishing of Industrial Containers, Totes, Bins, Dividers, Plastic Pallets & more. Purchasing, Processing & Recycling of Industrial and Post-Industrial High-Density Plastics, Resins, Foams & more. Trust Resource to take care of your industrial container products and industrial plastic recycling needs. We pride ourselves on our knowledge, flexibility and exemplary customer service. Environmentally & Customer Friendly – 100% Guaranteed! Saving you time and money since 1991. Let us become your trusted Resource and a true partner in improving our environment and your long-term business success! The one-stop-shop for all your industrial bulk containers & products, high-density plastics recycling, toll grinding and transportation needs. We are true partners in your success! 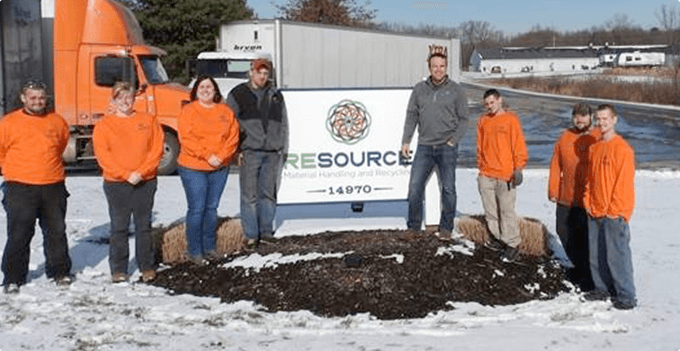 Since 1991, Resource has helped thousands of automotive, manufacturing, distribution, consumer products, agricultural, injection molding, and other industrial businesses improve their workflow, operations, sustainability and plastics recycling programs. Contact Us today to learn how we can help you save time and money! Resource Material Handling is a wonderful customer and very easy to deal with. They pick up their loads in a timely matter and the best part is they pay their invoices as they are due. Any questions that I may have are easily addressed and taken care of very promptly. I definitely would recommend them. Resource MHR makes it easy for us to keep our customers happy, which keeps us happy. Communication is always quick and helpful and turnaround time is often next day! Jonathan A., Plastic Pallet & Container, Inc.
We have worked with Resource Material Handling for over eight years in many capacities. They offer a vast range of products and services that fit the needs of our business. We appreciate their wonderful service and quick turn around and will continue working with RMH on upcoming projects.